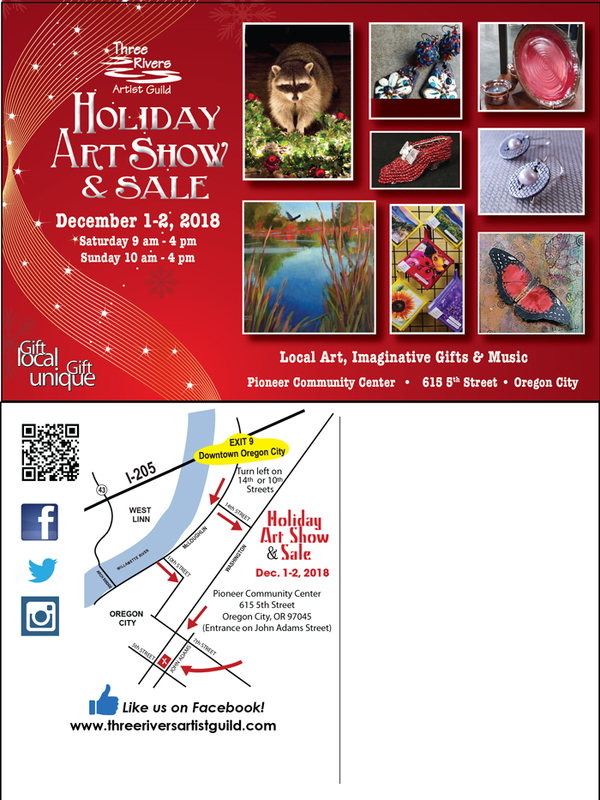 Three Rivers Artist Guild’s 2018 Holiday Art Show and Sale will be held on December 1-2 at the Pioneer Community Center in Oregon City. Shop for local art and unique gifts at this annual event. For event updates, previews of the artists participating, and to invite your friends, visit our Facebook Event!